A lovely holiday treat that’s light on angst and heavy on hope. I loved this magical holiday story! 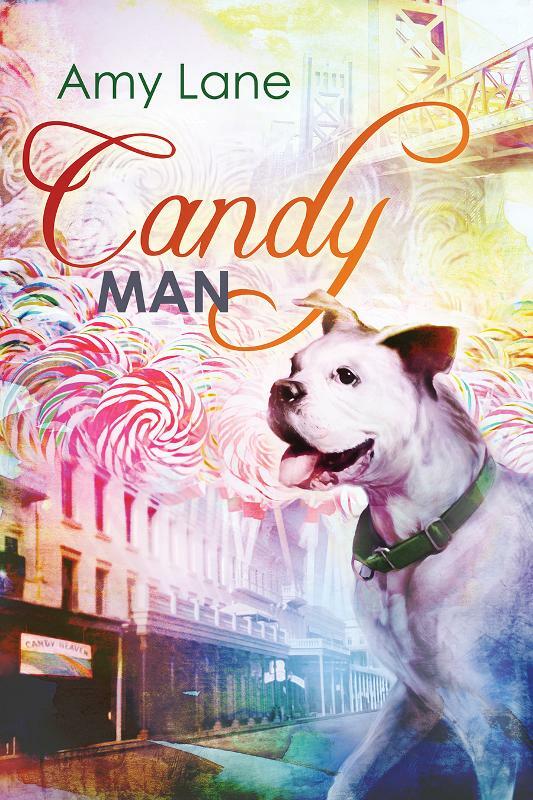 Darrin runs Candy Heaven, and he has some strange ability to see bits of the future. His pixie stick is telling him that he needs to hire Adam Macias in order to give him the help he so desperately needs. I thought it was interesting to get two points of view in this story with only one from a main character. It worked very well in this story. Adam has a lot of issues to deal with, and I loved getting to know him better. Since Darrin runs the store, and also has to step in a few times to save the day, it was great hearing his thoughts, too. I adored Adam. He has not had a great life, and things continue to go wrong for him. However, that doesn’t stop him from trying so hard to move forward. Every time a new obstacle is thrown in his way, he just moves it and carries on. The only thing he’s really bad at is accepting help of any kind from anybody, and after hearing about his upbringing, I could certainly understand why. I loved the different ways the author used Adam’s drawing skills to further the story along. Meeting Finn was the best thing to ever happen to Adam, and he isn’t quite sure what to do about it. Thank goodness Finn wasn’t easily put off by Adam’s behavior. These two were made for each other, and I enjoyed every minute that they were together. I loved how the author managed to touch me with this story without a horrendous amount of angst or anything over the top, but with a very beautiful story about how love and friendship heals. I enjoyed this one as well 🙂 I LOVE Amy’s writing. Every book is so different and special in it’s own way. There’s another book in the “series” Bitter Taffy? something like that. I have it scheduled sometime soon. Well, I schedules MOST of Amy’s work for 2016 actually, I think everything besides her PNR/Erotica series (after all I can’t possible read ONLY Amy’s book the whole year ;)) . You’re so organized!! I tried scheduling out my books and it fell apart shortly after starting. I agree about Amy. I’ve read so many of her books and most of them are truly amazing. I did read Bitter Taffy but never wrote a review. It was also enjoyable. I TRY to be organized but life isn’t offering any help here 😉 I make my list, and usually I think I read about 70% of what I planned, It’s really helpful with to be published books to have them at a certain time I KNOW I’ll get to them but generally speaking i like to know I’m going to read something I’m into while not having TOO many option to choose from.